What I like about these adverts are the recipe suggestions they include. I did actually make one once. It was for Hot Spot pudding, or something like that and it involved mixing breadcrumbs in with the custard, lots and lots of ground almonds and splodging chocolate buttons on the top. I liked it’s stodginess, but it was too much for Aidan. It did weigh rather heavily on your stomach! 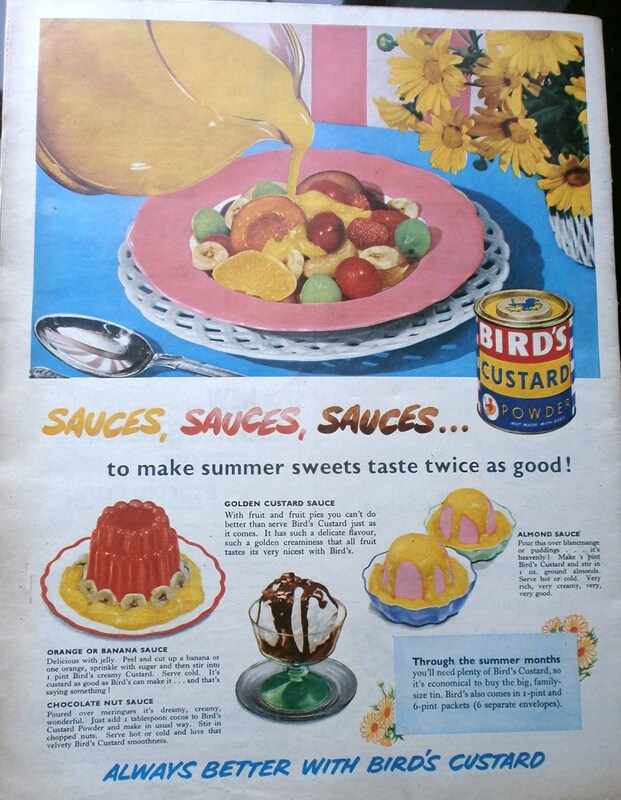 I like the look of the ‘King-Of-The-Castle Custards’ above. They strike me as the kind of thing that would NEVER work for me, ending up in a wibbly wobbly mess on the plate. That advert’s well out of season, but I still like the look of those sauces. Almond or Chocolate nut sauce anyone? They’d go just as well on top of a sponge cake or apple crumble as they would on top of fruit or jelly. 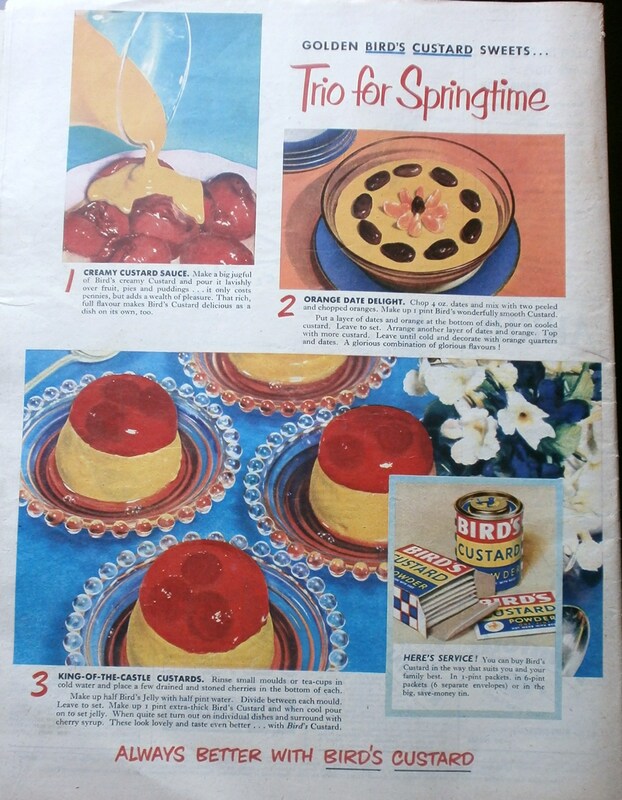 So many 1950s adverts seem to involve the words ‘Now _____ than ever!’ Whether it’s better, creamier, larger, smaller, more delicious; every item claims to be better than before. The marketing is much more direct and obvious than nowadays. No obscure symbolism for those ad men! All of this has got my mouth watering for my own Sunday dinner… I think I’ve got some Angel Delight somewhere, that might just have to do!